In honor of President’s Day on February 18th, we have put together a list of 18 interesting facts about some of our former Presidents. 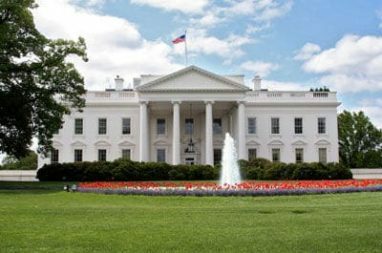 Your car donation could allow a child to visit the White House! Kids will love many of these interesting facts, especially since some of our Presidents helped invent or name their favorite things! President Barack Obama won a Grammy Award in 2006 for Best Spoken Word Recording for the audio version of his book, “Dreams From My Father”. Lincoln Logs are named after Abraham Lincoln and the log cabin where he was born. James Abram Garfield was the first President to ever talk on the phone. He spoke to Alexander Graham Bell, who was thirteen miles away. Martin Van Buren was the first President to be a United States citizen. All previous presidents were born British. “Teddy Bears” are named after Theodore “Teddy” Roosevelt. We have had six Presidents with the first name of James! These include James Madison, James Monroe, James Polk, James Buchanan, James Garfield, and James Carter. Theodore “Teddy” Roosevelt could walk on stilts. Every member of his family owned a pair of stilts, including the First Lady. Ronald Wilson Reagan won the “Most Nearly Perfect Male Figure Award” from the University of California in 1940. Thomas Jefferson had a family of plants named after him. They are known as “Jeffersonia diphylla”, which is also known as twin root or rheumatism root. James Madison was the shortest President, weighting no more than 100 pounds and standing only at 5’4”. Abraham Lincoln was the tallest President, standing at 6’4” and weighing 180 pounds. Gerald Ford was not only a model during college, but he also worked as a forest ranger at Yellowstone National Park. He helped direct traffic and feed the bears. Thomas Jefferson believed that he would never get a cold if he soaked his feet in a bucket of cold water every day. Thomas Woodrow Wilson painted his golf balls black during the winter season so he could still play golf in the snow. Jimmy Carter had a farming accident which left one of his fingers permanently bent. He was a wealthy peanut farmer in plains, Georgia. James Polk was the first President to have his photograph taken. Ronald Reagan loved jelly beans and used to keep a bowl of them on his desk at all times. Mount Rushmore features the presidential faces standing as high as a five-story building. There are plenty of interesting facts in history, including how George Washington loved ice cream and that Ronald Reagan was a movie actor. Each and every President is unique. If you have a vehicle to donate to help grant a wish for a local child, consider donating it to Wheels For Wishes, benefiting Make-A-Wish. We will turn your old car into a wish for a local child, ensuring a child their biggest wish will come true.